for a list of available plot options. For more information on the ways to change properties of your plots, see Ways to Customize Plots. iopzplot(AX,...) plots into the axes with handle AX. The function sgrid or zgrid can be used to plot lines of constant damping ratio and natural frequency in the s or z plane. 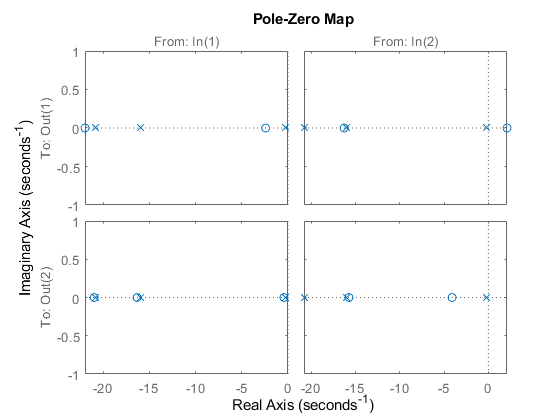 For arrays sys of LTI models, iopzplot plots the poles and zeros of each model in the array on the same diagram. 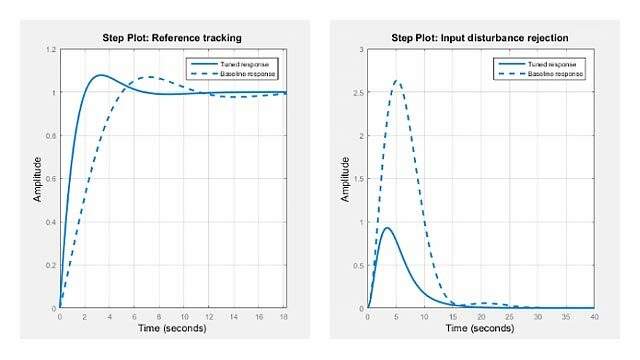 Create a pole/zero map of a two-input, two-output dynamic system. 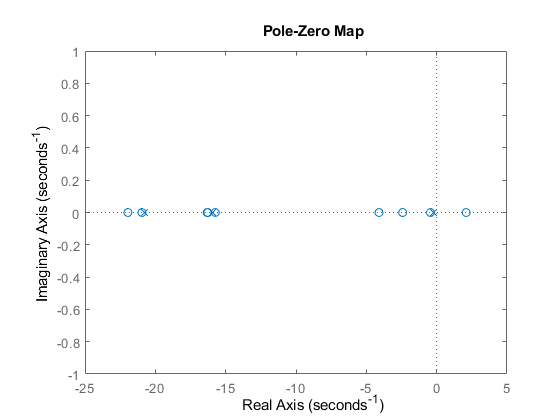 By default, the plot displays the poles and zeros of each I/O pair on its own axis. Use the plot handle to view all I/Os on a single axis. View the poles and zeros of a sixth-order state-space model estimated from input-output data. 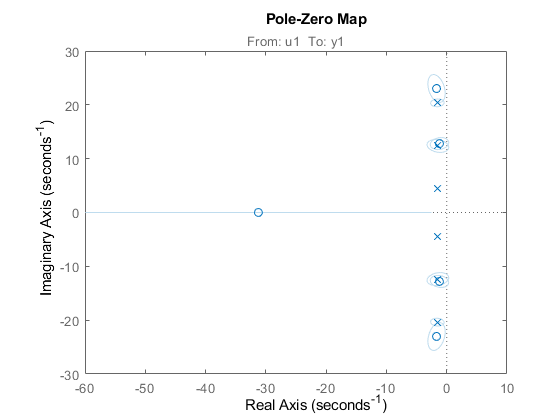 Use the plot handle to display the confidence intervals of the identified model's pole and zero locations. There is at least one pair of complex-conjugate poles whose locations overlap with those of a complex zero, within the 1-σ confidence region. This suggests their redundancy. Hence, a lower (4th) order model might be more robust for the given data. 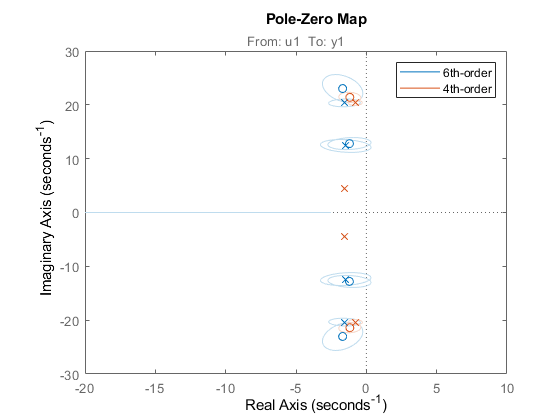 The fourth-order model sys2 shows less variability in the pole-zero locations.